My hypothesis is borne out for the most local firms but otherwise, the aggregate numbers of blogs by category are fairly close. Admittedly, the category labels are crude, but the average miles are correct. 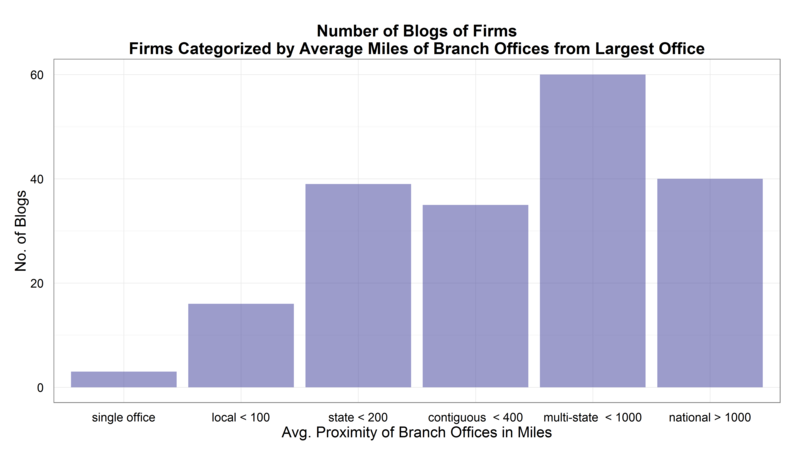 This plot starts to give us at least some idea of the correlation between numbers of blogs and networks of branch offices.